Ann Aguirre is ecstatic to announce that she sold her YA novel, Razorland, to Feiwel & Friends at auction. The book will be released next winter. (Woohoo, Ann!) Her romance, Skin Game, published under the name Ava Gray, will be released this coming Tuesday, November 3rd. Learn more when we do a Take Five interview with Ann next week! Kathleen Bolton will be giving her first book talk–publishing discussion/reading/signing–in Ithaca, New York on 11/7 at Barnes & Noble at 7 p.m.. In or near Ithaca? Swing by and say hello! J.C. Hutchins latest book in his popular 7th Son series–7th Son Descent–released YESTERDAY. The book is positively soaring up the charts, and has breached the Top 50 mark in the Thriller category. If you caught his two-part post this past week on unboxed promotional efforts, you now know he was successful to the max. You go, J.C.! Swing by on Tuesday for a Take Five with Juliet! THE LOST RECIPE FOR HAPPINESS author Barbara O’Neal’s THE BREAD OF LIFE, a multi-generational family drama set in a bakery, to Shauna Summers at Bantam Dell, in a two-book deal, by Meg Ruley at Jane Rotrosen Agency (World English). Therese Walsh (moi) was thrilled to learn that her book’s first lines were mentioned in this past Sunday’s edition of The Denver Post. Want to see? She’s also recently become the founder and president of RWA’s only women’s fiction chapter–you know, in her spare time. Have some happy news to share? Spill all in comments. Saturday, I attended one of Therese Walsh’s readings and booksignings at the lovely River Read Books, a delightful independent bookstore. Therese, of course, knocked it out of the park, speaking gracefully about her journey writing The Last Will of Moira Leahy and answering questions from the substantial gathering. It was a mini reunion of our old critique group as well. We’d been along for Therese’s journey for many years, and it was truly a time for celebration. That’s us (l-r), me, Therese, Karen Hendershott and Elena Greene. Don’t we look proud as hell for her? Therese acknowledged us in her talk, and spoke a little bit about Writer Unboxed. As Therese signed books for the throng, I fielded questions from a few aspiring writers present. They were amazed we’d been friends and writer buddies for as long as ten years. I’m amazed too. Writing is such a solitary and personal endeavor. 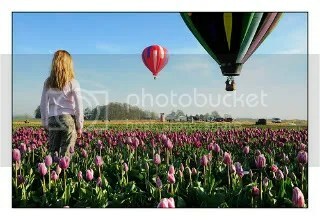 It’s easy to put your head down, immerse in the project at hand, and stay in the bubble. But there is so much energy to be had getting out of the cave and meeting other people who a) love books b) see writing as a valuable endeavor and c) want to talk about both. I lost my twin to a harsh November nine years ago. Ever since, I’ve felt the span of that month like no other, as if each of the calendar’s thirty perfect little squares split in two on the page. I wished they’d just disappear. Bring on winter. I had bags of rock salt, a shovel, and a strong back. I wasn’t afraid of ice and snow. November always lingered, though, crackling under the foot of my memory like dead leaves. It’s no wonder then that I gave in to impulse one November evening, left papers piled high on my desk and went to where I’d lost myself in the past with a friend. I thought I might evade memory for a while at the auction house, but I slammed into it anyhow. It was just November’s way. Only this time, November surprised me. –Page 1. 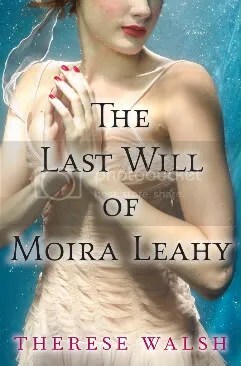 The Last Will of Moira Leahy. Isn’t that a great hook? (Read more at the end of this post.) Therese Walsh blends meticulous storytelling with a literary voice that keeps surprising with fresh word combinations and risky rhetorical strategies. This is both a reader’s book and a writer’s book. But you guys knew that already, didn’t you? Getting to publication has been a long journey for Therese, partially chronicled right here at WU and in part one of WU’s two-part interview. As promised, part two of Therese’s interview will focus on the other, crucial element of a successful book launch: publicity and networking. Enjoy part two of our interview with blog mama and co-founder of Writer Unboxed, Therese Walsh. Q: How important was networking to helping you achieve this dream? TW: I’d like to think Last Will would’ve found its home regardless of networking, but having connections definitely helped, especially when it came to finding an agent. Last Will wasn’t easy to categorize–women’s fiction/family saga melded with touches of mystery, psychological suspense and romance. The real wildcard component was the mythical realism, though, so I subscribed to Publishers Marketplace to learn who’d sold stories with a touch of the supernatural. While searching through book sales, I recognized Allison Winn Scotch’s novel, Time of My Life. Though we know Allison well here at Writer Unboxed, her novel’s publication was still 3-4 months out at that point and I hadn’t yet read a synopsis. Bingo. Time of My Life was women’s fiction with a touch of the supernatural. Agent: Elisabeth Weed. I emailed Allison and asked about her agent. She mentioned that Elisabeth had just had a baby, but said she’d be happy to feel her out for me. Later, she emailed to say that Elisabeth would be interested in reading a query. The query led to a request for a partial, then the full, and then an offer of representation.